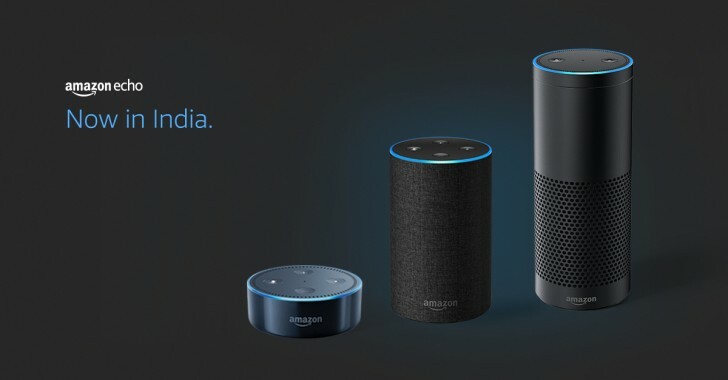 Amazon has launched the Echo series of devices in India. This includes the Echo, Echo, Plus and Echo Dot. The Echo Dot is priced at INR 4499 ($69), the Echo at INR 9999 ($153) and the Echo Plus at INR 14,999 ($230). The Echo and Echo Plus are the new updated models that were launched in the US last month. Currently, these devices are available only through an invite system. Interested buyers can click the ‘Request an invitation’ button on the site and if they get accepted they will receive an email from Amazon confirming the same. The Echo range is also bringing with it two new Amazon services to India, Alexa and Amazon Prime Music. Alexa is essential to the working of Echo but has so far been unavailable in India. The Amazon Fire TV Stick available in India uses only a basic voice search functionality instead of the full Alexa system available in other regions. Amazon Prime Music is also another addition and will be joining Amazon Prime Video that was launched in India last year. Several other Indian apps are services also seem to be integrated into Alexa on launch, including Saavn, TuneIn, Ola, Zomato, NDTV, Phillips Hue, Syska LED, and more. The last two should enable some smart home functionality, especially with the more powerful Echo Plus. The new Echo devices will start shipping in the last week of October.